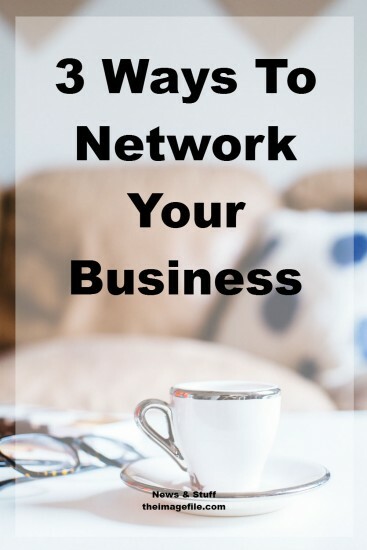 Traditional and new platforms for networking follow the belief that meeting and connecting on this basis will generate leads and, eventually, business. The other school of thought is that if you believe in your product strongly enough, go about your business and innovate, then the right people and companies will be drawn to your activity anyway. Certainly there are many successful businesses past and present that operate this way. …people buy people and you’ve got to put yourself out there to help sell your sizzle. Either way, in the field you operate in, people buy people and you’ve got to put yourself out there to help sell your sizzle. As a new business or member of certain trade organisations, you will naturally be invited to or be asked to exhibit at shows. This is great and proactive of course, but make sure you are doing them for the right reasons. And be strategic in your approach. Is it the right target market? If you are one of those many small businesses in similar-looking booths, hoping for passing trade then make sure you stand out and offer a great incentive alongside an extremely proactive, energetic human presence. Don’t be sat down, texting away, remember first impressions count. Make sure your branding is clear and it’s obvious what you do. Draw people in, offer a business card prize draw, delicious chocolates, special offers just available at the show, anything within reason to get people stopping. If you attend a networking event, why are you going? Are there definitely people attending who can benefit and you can benefit from? Don’t forget your business cards and make sure they state what you do, with all your contact details on name, phone (mobile and landline), email, postal address, twitter username, etc. connecting with professional gear manufacturers and their PR/marketing/sales people – if you don’t ask you don’t get! connecting with media and agencies to find work with magazines, online platforms, brand campaigns and trying to get coverage of your work. Facebook, Pinterest and Twitter (amongst others) all offer an opportunity to connect with people in different ways and the lines blur between finding customers, seeking advice and market information, connecting with peers and so on. Overall, it’s easy to spend or lose plenty of time because of the wealth of information and the amount of offshoots to different areas of interest. Post information that will have a direct effect on your leads or product development. Placing postcards, flyers, posters in shops, places people gather, schools, anywhere there is likely to be a receptive audience. Look at cost effective sponsorship opportunities. Any networking opportunity should be taken; you get out what you put in and you never know who you may meet. It’s good to talk!